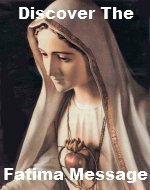 The Fifth Sorrowful Mystery Rosary Meditations teach you perseverance. After all the sufferings Jesus had already underwent, He still had to suffer the horrors of being crucified. The heavy nails being pounded into His hands and feet; the uncomfortable and unnatural posture of having His arms outstretched above His already fatally wounded body, the sorrow in seeing His suffering Mother; the taunting of the cruel Roman executioners and even the humiliating comments shouted by the high priests and one of those condemned to die with Him, and yet Jesus suffered it all patiently, persevering to the end. Please add your own meditation(s) on this mystery, The Crucifixion. By adding your own meditation(s) you are actually building your own web page on our website. 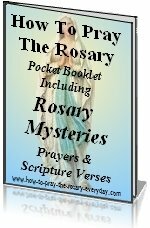 They don't have to be elaborate meditations, but they do have to pertain to the Fifth Sorrowful Mystery Rosary Meditations. On the pains Jesus went through, for the sins of the world.